Scotland’s Court of Session still rules over ‘Victorian’ justice system. 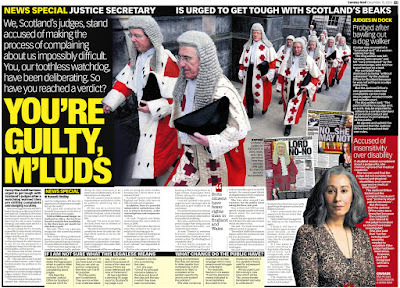 WHILE 2010 has brought a few, welcome, if ever-so-slightly-forced-by-media-attention reforms & changes in Scotland’s creaking ‘Victorian’ civil justice system, there is still, undeniably a long way to go for the Scottish Government, Scottish Parliament & Scottish Courts in ensuring access to justice, legal services & access to the courts for all Scots, especially those who cannot obtain or afford the services & typically outlandish fees of law firms who offer little in the way of speedy dispute resolution or even a modicum of success in many common types of legal disputes. Lord Hamilton enacted McKenzie Friends in Scotland 40 years after the rest of the UK had the facility. 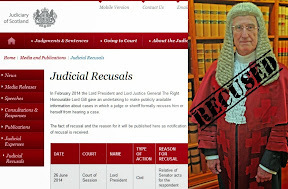 For instance, one of the few tangible-to-court-users reforms enacted to-date has been that of allowing McKenzie Friends to operate in the Court of Session, a right hard won after a campaign mounted by consumer organisations, campaigners, continued reporting by the media, an original recommendation by Lord Gill himself to allow McKenzie Friends, and all spurred on by a ruling in the Court of Session last November which eventually led to the Lord President, Lord Hamilton enacting an Act of Sederunt in June 2010, allowing Scots (who, in April 2010 he branded too ignorant to know what a McKenzie Friend is), a facility the English & Welsh courts & public had enjoyed for a full forty years before and it should be noted that Scottish Sheriff Courts are still to enact McKenzie Friends, expected eventually in February 2011. 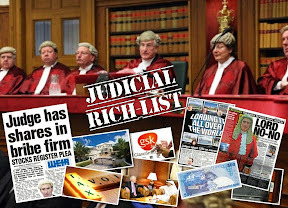 There are, of course, some little gems from the new Judiciary of Scotland website, such as Scots now being able to see for ourselves how much the justice system costs us, despite most of us apparently not having access to it : Part-time Sheriffs beat full-time colleagues & senior judges in expenses claims as Scots judiciary finally publish judicial expenses online although again, these little gems appear to have been reared for publication after a dose of media attention and with the helpful assistance of Freedom of Information legislation. The Scots judiciary’s shiny new website, as welcome as it is, has existed in an equivalent, perhaps better organised format in England & Wales for years, as well as the guide for party litigants, and the Scottish version Legal Services (Scotland) Act 2010 asp 16 (pdf) of the Legal Services Act (2007) for England & Wales has been so brutalised, butchered, twisted, tortured & re-written by the Scottish legal profession itself, eventually being passed by msps who were more concerned with doffing their caps to the Law Society’s influence in politics than the public’s right to justice, it has given Scots little more rights or choice against the legal services monopoly controlled by the legal profession after its near two year talking-shop passage in the Scottish Parliament. Indeed, comparing the Legal Services (Scotland) Act 2010 asp 16 (pdf) and the Legal Services Act (2007) for England & Wales is like comparing a horse & cart to an Aston Martin DBS … with the Scottish Government & Parliament version giving the appearance of trying to fit the Aston’s Bridgestone tyres onto a wooden cart pulled by a donkey, such is the value they place on the Scots public’s access to justice and meanwhile the Law Society of Scotland was busy worming its way onto the Calman Implementation Group to ensure it had a say in giving the Scottish Parliament some tax raising (and doubtless expenses claims raising) powers, while also lobbying for the Society to be made an ‘approved regulator’, giving crooked lawyers an eternal Christmas. 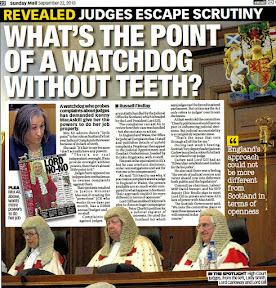 In truth therefore, at the end of 2010, Scots access to justice, access to legal services or even access to the courts itself has changed little at the end of this year, with solicitors, advocates and law firms still effectively the gate keepers of the doors of justice, which remain so obviously closed in the face of anyone the legal profession doesn't care for, or takes a slight to. 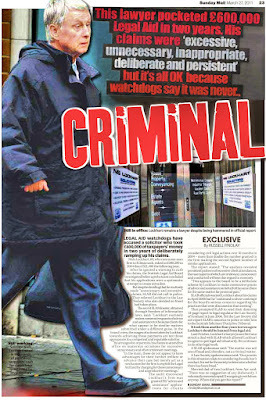 Current Dean of the Faculty of Advocates Richard Keen called for Class Actions two years ago, little happened since. 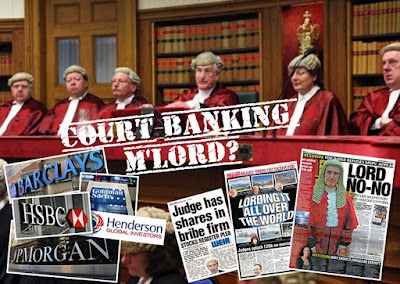 Whatever happened to multi-party actions (Class Actions) being speedily introduced to the Scots justice system so the legal profession could, under the clarion call (made two years ago in January 2009) of the Dean of Faculty of Advocates, Richard Keen QC, take on the might of the banks and allegedly represent & protect the interests of consumers so robbed by many of Scotland’s financial instructions who themselves coincidentally sponsor many events within the legal profession itself ? Nothing, that's what happened, nothing. 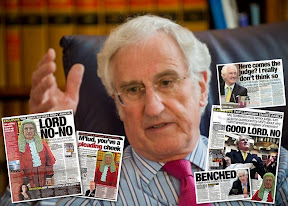 Class Actions are still being talked about, talked about, talked about … with little movement made on the issue in the past sixteen months Lord Gill originally said Class Actions should become a reality and two years since the dean himself started shouting about it in the newspapers. Just think if Scots could enter into Class Actions in such cases as asbestos claims, instead of victims having to approach only a few select law firms which end up dealing with the claims on a case by case basis while piling on the fees & time-to-claim-resolution to the point their clients end up dying before receiving any compensation. 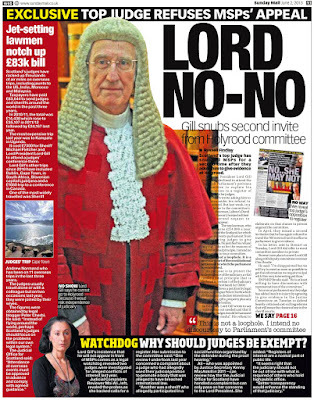 Of course, we are told it may come in 2011, or 2012 or 2013 … so as the clock ticks on and the years fly by, the next hope for developments in the long running saga of bringing Class Actions to Scotland, apparently lies with the considerations of the Civil Justice Advisory Group, under the chairmanship of the Right Honourable Lord Coulsfield. The CJAG is due to publish a report with recommendations for the way forward in early 2011. 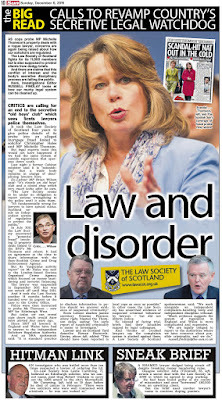 Scottish Government eventually agreed to introduce Class Actions & other reforms to civil justice system ‘over years’. The Scottish Government, ‘ever swift’ to claim the high ground in all things Scottish, announced its intentions in late November to implement ‘some’ of Lord Gill’s Civil Courts review recommendations to reform the Scots ‘Victorian’ civil justice system, bringing Class Actions, a new tier of judge & ‘more effective’ case management to Scotland’s courts system, which I reported on here : Scottish Government’s response to Civil Courts Review : Class Actions, more cases to Sheriff Courts, & faster, easier access to justice ‘over years’. 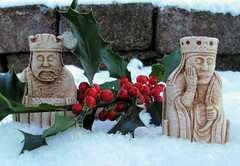 Season’s Greetings from Scotland. As the year draws to a close, and reflecting on nearly twenty years of campaigning for legal reforms, ten years of reporting matters connected with Scotland’s justice system, and soon to enter a sixth year of writing articles on this, my personal blog, “A Diary of Injustice in Scotland”, I would like to take the opportunity on this somewhat chilly Christmas Eve to wish all my readers, my colleagues in the media who have assisted the aims of fighting injustice over the years by their work, all the victims of injustice, themselves & their families, whether the injustice it be at the hands of the professions or even the justice system itself, and those inside the Scots legal profession I personally know who do their utmost for clients, Season’s Greetings, a Merry Christmas, and good luck for the New Year, 2011. I will also take this opportunity to remind everyone there is a petition currently at the Scottish Parliament which readers may wish to consider signing, if you are of the opinion the Law Society of Scotland has had its day, both as a representative of the legal profession, and as a representative of the client’s best interests … the latter of which we all know has always been an issue which comes second to the Law Society’s protection of their own members interests. I have signed the petition and would encourage others to do so, and to attend the Scottish Parliament when the petition is to be heard, a date I will inform readers of when more information becomes available. The Scottish Law Commission’s latest consultation on the work of Judicial Factors. THE SCOTTISH LAW COMMISSION has announced a consultation with the aims of modernising yet another part of Scotland’s ‘Victorian’ justice system, the one hundred year old plus legislation of the Judicial Factors (Scotland) Act 1889 which governs Judicial Factors, who are more often than not solicitors or accountants appointed by the court to ‘look after’ or to gather in & distribute property belonging to someone else, living or more usually dead, in cases such as where disputes rage between beneficiaries & executors over the progress of a deceased’s estate being wound up, or if someone died without leaving a will. The Scottish Law Commission’s announcement described the legislation relating to Judicial Factors as being “extremely old and is no longer fit for purpose”. The role & duties of Judicial Factors are featured in many well used if antiquated & sometimes heavily abused pieces of legislation such as the Trusts Act (Scotland) 1921. Judicial Factors fees for their work, particularly when brought in to deal with a will have been known to be almost limitless, and near impossible to challenge in terms of regulation when things go wrong, therefore it is certainly in the interests of consumers there is as much public input into this consultation as possible, rather than simply allowing the legal & accountancy professions & their regulators to play the usual game with reforms being mostly directed in their members favour, rather than consumers and the public, who, in quite a few cases over the years, have been extremely ill served by Judicial Factors. 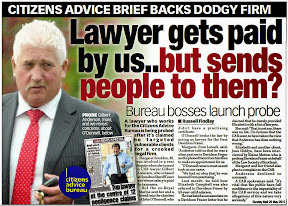 Indeed in certain cases, where allegations or evidence of corruption on the part of solicitors & accountants who have themselves mishandled, fleeced or plundered the estates of dead clients has been made by families & beneficiaries, the appointment of a Judicial Factor has sometimes been used as a threat against beneficiaries, accompanied with a letter from a solicitor reminding anyone the fees of appointing a Judicial Factor and the subsequent costs of their work may well make mincemeat of any assets left in the estate after the solicitor & accountant have helped themselves. 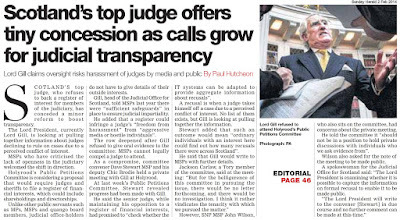 Unsurprisingly the Law Society of Scotland & Institute of Chartered Accountants hardly ever take action on complaints against members appointed as Judicial Factors. 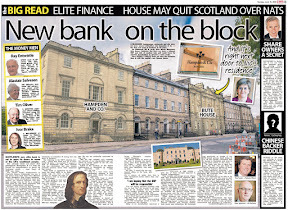 Given the self regulating Law Society of Scotland & Institute of Chartered Accountants of Scotland stand by, ever eager to whitewash any complaints which may impugn their members reputations, it is often the case solicitors or accountants who are alleged to have plundered deceased client’s estates are almost never brought to justice for their misdeeds after a Judicial Factor has been appointed. 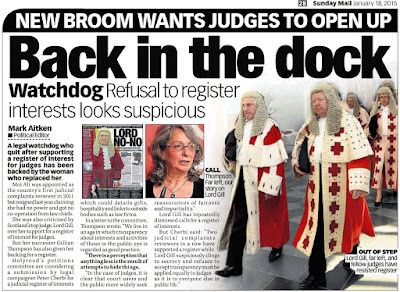 Two options for reform of Judicial Factors are are being put forward by the Scottish Law Commission, although more proposals of reform of the regulatory framework which govern their duties would have been welcome in a more consumer protection oriented society as we are now supposed to be. The first proposal is to keep the existing structure but to modernise it and make it more efficient by means such as updating the powers and duties of judicial factors as well as the procedure by which they are discharged. The second option proposes a new public official, the Official Judicial Factor, who would carry out all judicial factory work unless the court wished to appoint someone else. An existing public official would become the Official Judicial Factor so that the functions would be part of the functions of an existing public office. Costs would generally be recovered from the property being managed. Patrick Layden QC, the lead Commissioner for this project, said: “The office of judicial factor is a useful institution which needs to be brought up to date. If it were properly modernised, it could be very helpful in a wide range of situations, from looking after the property of people who cannot do it themselves to taking charge of assets confiscated under the Proceeds of Crime legislation." Mr Layden continued : "We would welcome comments on this Discussion Paper. The Discussion Paper is available on the Commission’s website at http://www.scotlawcom.gov.uk/ and comments on the proposals are welcome by 15 April 2011. 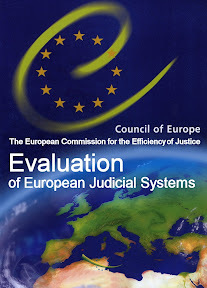 The Commission would also be grateful for suggestions as to an appropriate alternative for the name “judicial factor”. The Scottish Law Commission’s discussion paper on their proposals to reform Judicial Factors can be downloaded here : Discussion Paper on Judicial Factors (DP 146). 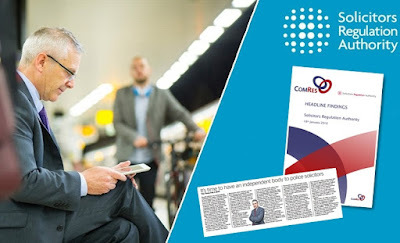 The Commission state they would be most grateful to receive comments on our proposals, or any part of them, by 15 April 2011. Where possible, we would prefer the electronic submission of comments, for example by using the electronic response form, and more information if required is available from gillian.swanson@scotlawcom.gsi.gov.uk. 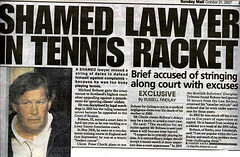 It should be noted while there are cases of complaints regarding the work of Judicial Factors with it coming as little surprise very few are ever resolved, equally the work of Judicial Factors can sometimes be invaluable, if pricey, when appointed in roles such as administration of a charity when allegations of fraud or misconduct emerge. Equally, not all Judicial Factors appointed to handle the estates of deceased persons mishandle their work, however, as the circumstances of some appointments of Judicial Factors can leave much to be desired, it is well past time for a review and inquiry into the laws which permit their office & work, along with how they are regulated and how the affected persons can challenge their activities should the need arise. manage funds consigned with the Accountant of Court in accordance with a Court of Session interlocutor or in the process of liquidation proceedings. 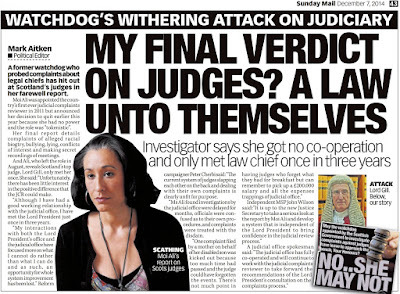 Perhaps an extra layer of independent scrutiny may be required, especially when the Judicial Factor turns out to be a solicitor or indeed any person who is a member of a self regulating profession such as an accountant. 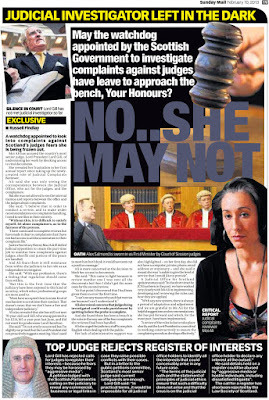 While the Scottish Government have a track record of not always paying attention to consultations carried out by the Scottish Law Commission, I would encourage readers to participate in this consultation, to ensure all aspects of the one hundred year old laws which relate to Judicial Factors be looked at and brought into line with our times. Its in your interests as consumers and members of the public to do so. Scottish Legal Aid Board’s 2009-2010 annual report published, reveals little improvement for Scots in access to justice stakes. THE Scottish Legal Aid Board late last week published its annual review and statement of accounts for 2009-2010 which reveal little has been done by way of applying fairness to legal aid applications for tough cases such as allegations of negligence concerning Scotland’s many professions (including of course the legal profession), challenges to the way people are mistreated by public sector bodies or quangos, and of course, the way victims of injustice are themselves treated by Scotland’s internationally famed prejudiced justice system. 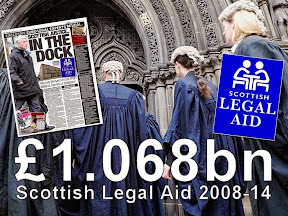 SLAB revealed the cost of legal aid in 2009-2010 was £150.5m, almost the same as the previous year. This figure was around £3m less than it would have been because of the reduction in the VAT rate which came into effect in December 2008. The net cost of civil legal assistance – after taking account of contributions and recoveries – increased by 9.5% to £47.2m, which includes £0.9m additional targeted funding by the Scottish Government for work associated with the economic downturn. The increase in civil legal aid applications will lead to further increases in civil legal assistance expenditure in future years. 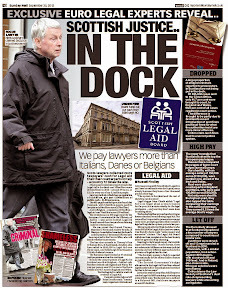 However, of some 25 cases currently known to me of persons seeking legal aid to recover financial losses attributed to their solicitors negligence, or theft, either little progress, considerably difficulty, or general refusals for legal aid funding appear to be more the order of the day. 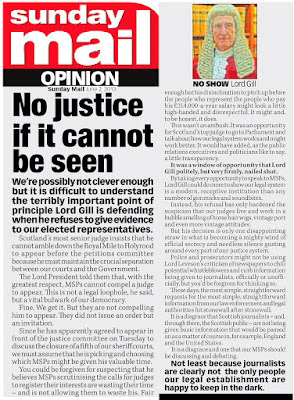 In essence therefore, nothing much has changed with regard to how Scots who are victimised by their legal representatives can attempt to use the justice system to put right the wrong done to them. 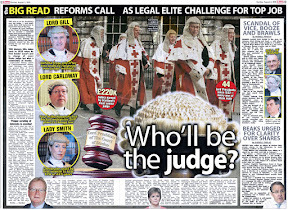 From April 2011, the Scottish Legal Aid Board will be changing the way it accepts legal aid applications, abandoning the current paper format to go completely digital, with all applications & accounts being submitted online, a policy SLAB contends will be more efficient & economic for solicitors and SLAB, although it remains to be seen as to whether it will be guaranteed clients will receive full copies of everything their solicitor submits in the online application on their clients behalf. 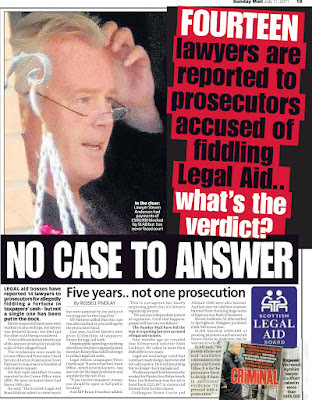 However, very few law firms appear to have been prosecuted for legal aid fraud, with either SLAB or the Crown Office itself historically reluctant to send any solicitor into the dock and accuse them of fraud, a matter brought to the fore with a Press Release issued three days before the annual report was announced. 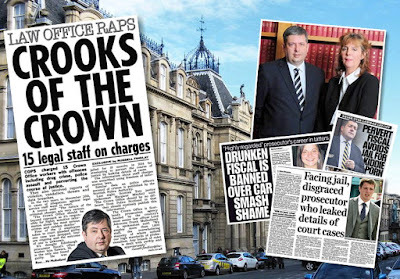 Obviously a few blushes spared for the Law Society of Scotland there … but why no prosecution and why no publishing of the investigation & complaint ? The Law Society of Scotland issued a Press Release in response to SLAB’s latest annual report, although strangely didn’t bother to comment on the law firm which … ‘removed itself’ from legal aid work after the SLAB investigation and complaint to the Law Society. Oliver Adair, Legal Aid Convener of the Law Society of Scotland, commenting on SLAB’s annual report said: "The concern for the Society and our members - who deliver legal advice to people funded through legal aid - is how they continue to do that with the cuts in public funding announced by the Scottish Government last month. The Society is entering discussions with the Scottish Government and Scottish Legal Aid Board (SLAB) about how an 8% cut to the legal aid budget can be met while maintaining core areas of work and allowing practitioners to afford to provide a service for those who can't afford it themselves. We have asked the profession to give us their feedback before we go back to Government on how we think the saving might be reached. However, the amount of legal aid money which firms are paid should be viewed in context - it covers the costs of solicitors, support and administrative staff, and the other overheads associated with running a business." Readers should note that currently, there are no legal requirements on the Law Society of Scotland to report any allegations of legal aid abuse to the Scottish Legal Aid Board. 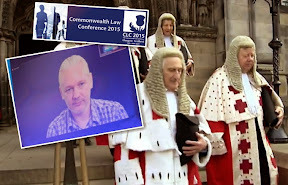 Discussions have apparently been going on with regard to ‘Memorandums of Understanding” to be created between SLAB, the Law Society of Scotland and even the Scottish Legal Complaints Commission for well over a year, with so far, no outcome. Just why this has taken so long is a matter of public interest in its own right, and I will report further on the matter in the new year. The Law Society of Scotland’s latest foray into the world of video gives a rose-tinted view of regulation. 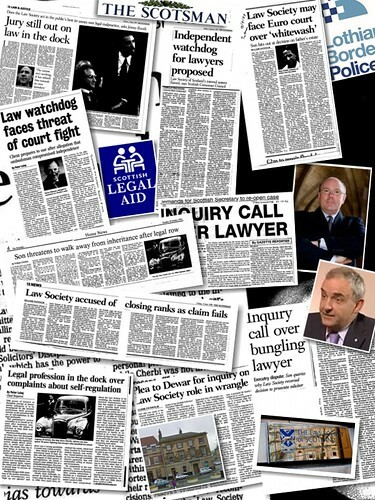 THE LAW SOCIETY OF SCOTLAND have, in a rare foray into the world of published video footage, given notice they intend to apply to the Scottish Government as an “approved regulator” of legal services in the ‘new’, ever-so-slightly expanded Scottish legal services market which will begin to take shape next year, 2011, after the passage of the Legal Services (Scotland) Act 2010 which came into being as a result of a less than successful consumer campaign to open up Scotland’s justice sector to allow wider access to justice for Scots who have until now, been forced to use the services of a solicitor (member of the Law Society of Scotland) or advocate (member of the Faculty of Advocates) to obtain legal services or access to justice. 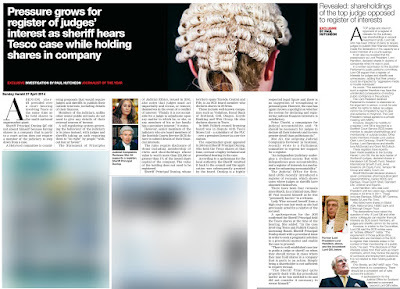 More video footage from the Law Society’s meeting can be viewed at Lawtalks including footage of the Law Society’s ‘current’ Chief Executive Lorna Jack & others discussing what are issues which will heavily affect Scots consumers of legal services. Call me old fashioned, but I always thought Douglas Mill could give a better speech, and well .. a much more honest indication of just how honest the Law Society of Scotland really is when it comes to regulation of ‘crooked lawyers’ ..
Just why the Scottish Government would allow the historically crooked & unrepentant Law Society of Scotland a position as an “approved regulator” in the new post Legal Services Act expanded legal services marketplace in Scotland is beyond the realm of common sense, or concern for protection of consumers & fee paying clients who will again, suffer the Law Society of Scotland, and now the Scottish Legal Complaints Commission’s anti-client, anti-consumer attitudes on regulatory matters where protection of the public & fee paying clients should come first, not last. 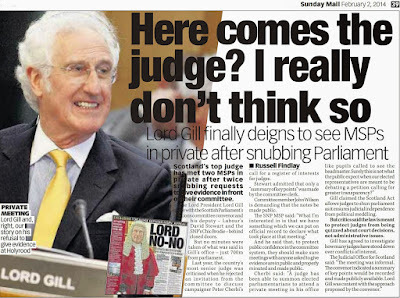 Scotland’s Lord President, Lord Hamilton now publishes his & judicial colleagues expenses online. 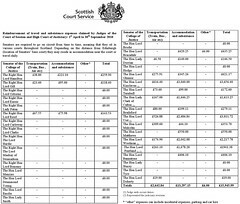 EXPENSES CLAIMS of Scotland’s Court of Session judges, Sheriffs & Part-Time or Temporary Sheriffs have now been published on the Judiciary of Scotland’s website, after Freedom of Information requests earlier this year first revealed on Diary of Injustice, the true, if at times, staggering expenses claims of members of Scotland’s judiciary where Scotland’s 34 Court of Session judges were revealed to have claimed £78,988 in expenses on top of their already huge salaries ranging from a mere £172,753.00 for ‘outer house judges’ to the Lord President’s staggering £214,165.00, making a a collective annual salary of just over £6.1 million for the 34 Senators of the College of Justice as they are known, to keep the painfully slow wheels of Scots justice rolling & the Court of Session in business. 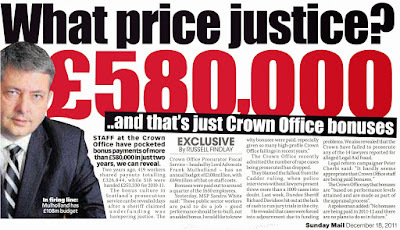 Full time Sheriffs expenses claims finally revealed. 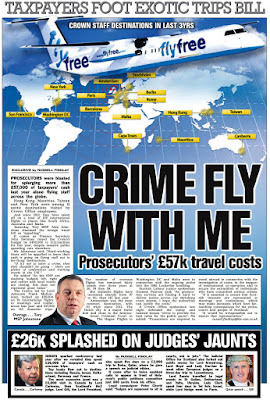 Among the Sheriffs, examples of expenses claims range from £4,503.50 for Sheriff R Anderson QC (who sits at ‘remote’ courts), £4,633.02 for Sheriff DO Sutherland, £3,719.01 for Sheriff AD Miller (floating Sheriff & formerly a part time Sheriff), £4,433.30 for Sheriff A Berry (floating Sheriff), and £3,411.51 for Sheriff Principal Sir ST Young Bt QC, to Sheriff MGR Edington, who claimed nothing, Sheriff Edington being one of the few, fine honest lawyers during his time in legal practice I’ve known, also not forgetting Sheriff Principal R A Dunlop QC, who claimed £752.60. 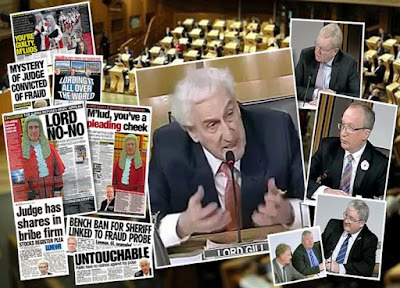 The now Sheriff Dunlop was my Senior Advocate for my negligence case against crooked Borders lawyer Andrew Penman of Stormonth Darling Solicitors, Kelso. 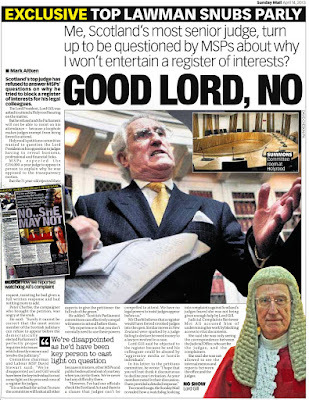 However, Alistair Dunlop QC as he was then was made a Sheriff the next week and conveniently taken away from my legal team, such is the fairness in the Scottish justice system no other Advocate could be found to take the case. Scottish Government FOI release of Judicial Office holder’s expenses claims earlier this year. 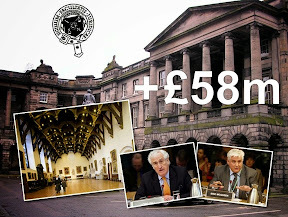 The figures released by the Scottish Government in September in response to a Freedom of Information request revealed while a Sheriff receives an annual salary of around £128,296 per annum, Scotland’s Sheriffs collectively claimed a further £176,431.37 in expenses in the last financial year 2009/2010, while part time sheriffs who are paid a daily fee of around £575 for each day of service claimed an additional much larger figure of £281,085.07 in expenses. 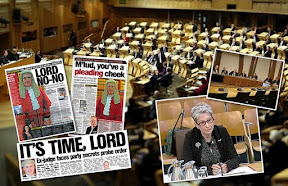 The figures also reveal earlier & current expenses claims of £106,367.09 & £77,259.31 respectively for Scotland’s Court of Session judges (Senators) on salaries ranging from £172,753.00 to the Lord President’s staggering £214,165.00. 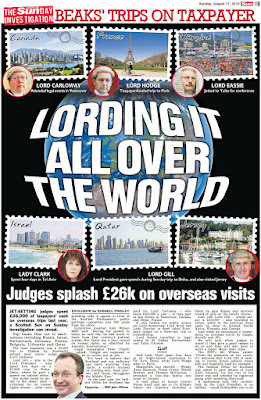 Will the increased transparency by way of publishing the judiciary’s expenses claims bring savings to the public purse ? We will just have to wait & see .. and monitor. 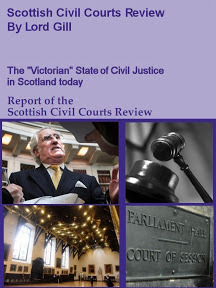 The Report of the Scottish Civil Courts Review by the Lord Justice Clerk, the Rt Hon Lord Gill launched in September 2009 gives recommendations in relation to the provision of civil justice, including the structure, jurisdiction, and procedures of the courts. 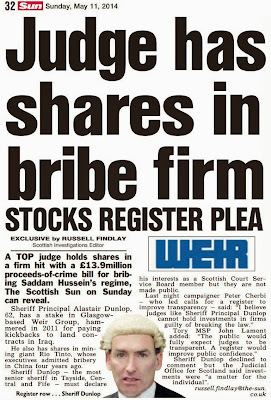 The Independent Review of Sheriff and Jury Procedure by Sheriff Principal Bowen, published in June 2010 reviews sheriff and jury practice and procedure in Scotland with the aim of ensuring that the system is fair, efficient, modern and effective. A Statement of Principles of Judicial Ethics for the Scottish Judiciary published April 2010 offers guidance and a framework of principles for members of the Scottish judiciary. More information and the full Statement can be found here. 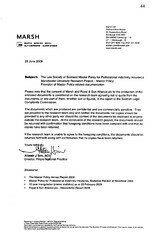 The Law Society’s secretive Master Policy insurance protection scheme was linked to deaths in SLCC report. 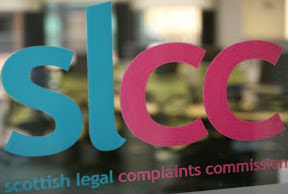 AS the Scottish Legal Complaints Commission effectively signalled earlier in July of this year it had abandoned its less than determined two year quest to secure documents & details from infamous insurers Marsh UK & the Law Society of Scotland of of how the Master Policy operates to protect the legal profession, a solicitor who has come forward over the issue said today the only way the SLCC or the public would ever see the inner workings of the notoriously anti-client Professional Indemnity Insurance scheme for the Scottish legal profession would be if it ends up on the whistle blowing website WikiLeaks. The solicitor, whose identity I have agreed to withhold on the grounds he may face intimidation from the Law Society over his stance on the matter also said this morning he was fed up with the situation where the Master Policy brokers & insurance companies effectively make the whole process of dealing with clients ‘adversarial’ as soon as any doubt or questions over the solicitors work are raised. 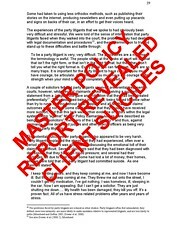 You can read more about the University of Manchester’s report on the Master Policy, here : Suicides, illness, broken families and ruined clients reveal true cost of Law Society's Master Policy which 'allows solicitors to sleep at night'. 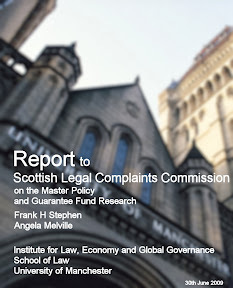 The latest annual report of the Scottish Legal Complaints Commission is, apparently, weeks, if not days away from being published, and is expected to show a sharp drop in complaints, although suspiciously there is expected to be little mention of the SLCC’s failure to address the Master Policy issue, being one of the cornerstones of corruption in the Scots legal profession which has led to unrivalled consumer suspicion & distrust of the Law Society and individual solicitors. 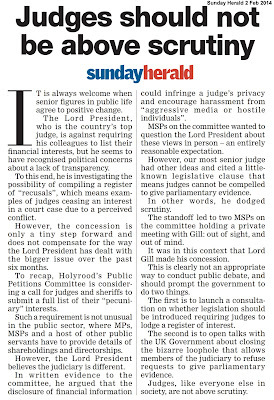 Scottish Parliament’s Petitions Committee to hear petition calling for Law Society to be stripped of its power. 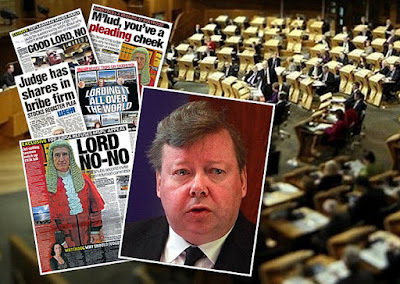 LEGISLATION created at Westminster which has given the Law Society of Scotland a right to self-regulate Scotland’s 10,000 plus solicitors for over thirty years, a right which has in the eyes of many been abused to the point the phrase “crooked lawyer” has become common place in Scotland, is now facing a challenge at Holyrood after an online e-petition was filed at the Scottish Parliament calling on MSPs to repeal the Solicitors (Scotland) Act 1980 and end self regulation of Scotland’s legal profession. 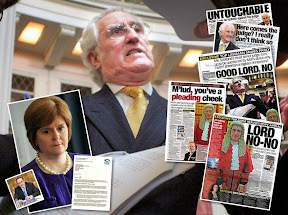 A 30 year run of Scots crooked layers may become less frequent if fully independent regulation of Scots legal profession takes place. 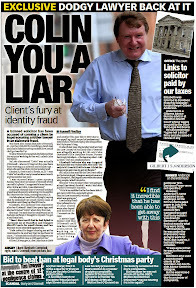 Any client of a solicitor in Scotland having been put in the unenviable position of having to complain about the legal services provided to them by their legal representatives will be well aware of the problems in trying to pursue complaints against solicitors, while having to deal with the almost unearthly processes employed by the Law Society of Scotland & Scottish Legal Complaints Commission to defeat the aims of consumers who for the most part, used the services of a solicitor expecting a fair deal and access to justice. Indeed, many clients have come to realise that using Scottish legal services can mean lengthy waits of years for court appearances, common failures to deal with even the simplest of tasks, and the inevitable ‘padded’ and unexplained huge fee demands of solicitors for very little coherent work carried out on their clients behalf. 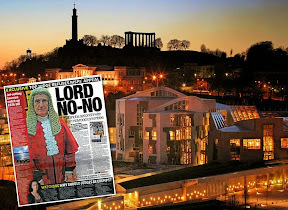 Forcing the Scottish Parliament to confront the Law Society’s legislative powerbase, the Solicitors (Scotland) Act 1980, which, as many legal insiders admit themselves, allows the Scots legal profession almost a free hand in the world of regulation & political double-dealing, may finally bring changes of increased consumer confidence in what is one of Scotland’s worst performing in terms of public trust, yet highest earning professions which, as the almost compulsory route for access to justice in Scotland, everyone at some stage in their lives must use. 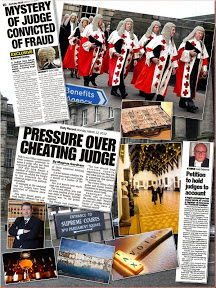 The complaints process operated by both the Law Society of Scotland & SLCC has consistently been described by many involved in it as “Torturous” & “Prejudiced against clients while protective of crooked lawyers”, and the passage in the Scottish Parliament in 2006 of the Legal Profession & Legal Aid (Scotland) Act 2007, which created the Scottish Legal Complaints Commission (SLCC)after a long campaign to reform the legal complaints system, a campaign which involved many consumer campaign groups, organisations, individuals and even the media, has so far done nothing to resolve the intense prejudice consumers & clients face when attempting to secure a fair hearing of complaints they are inevitably forced to make against their solicitor when things go wrong. 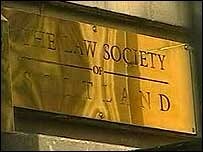 The Solicitors (Scotland) Act 1980 established the Law Society of Scotland in terms of legislation, giving it many controversial powers & duties including representing the interests of its solicitor membership and the interests of the public (& client)in relation to the legal profession. The 1980 act also empowered the Law Society of Scotland to maintain professional indemnity insurance cover and a ‘guarantee fund’ to ‘protect’ solicitors clients from negligent & crooked lawyers. 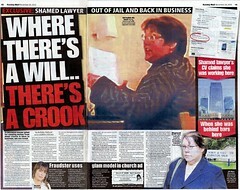 Both schemes, the first known as the “Master Policy”, an insurance scheme run by brokers Marsh UK and backed by insurers Royal Sun Alliance & others, and the “Guarantee Fund”, an in-house compensation scheme managed by the Law Society itself are ultimately famous for their failures to pay out in most cases where solicitors have either stolen or frittered away their clients finances through theft, or their poor quality of work on their client’s behalf. 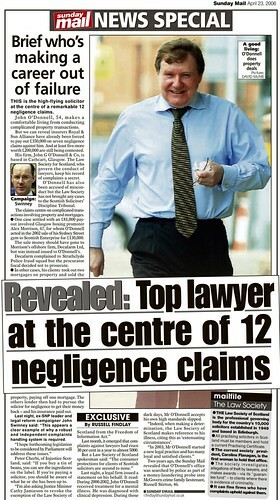 The Master Policy itself was the subject of an independent investigation carried out during 2009 by the University of Manchester’s Law School, The investigation’s findings linked the insurance arrangements for protecting crooked lawyers to the deaths of clients, while the Guarantee Fund was revealed as little more than a multi million pound masterpiece of claims dodging corruption. The Society may do anything that is incidental or conducive to the exercise of the functions [i.e., the promotion of- (a) the interests of the solicitors? profession in Scotland; and (b) the interests of the public in relation to that profession] or the attainment of those objects.? 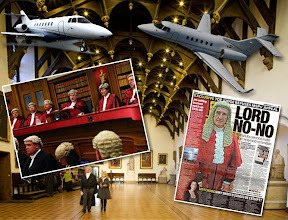 1.--(1) The Law Society of Scotland (referred to in this Act as "the Society") shall continue to exist and shall exercise the functions conferred upon it by this Act. (b) the interests of the public in relation to that profession. (3) The Society may do anything that is incidental or conducive to the exercise of these functions or the attainment of those objects. (4) Schedule 1 shall have effect in relation to the Society. (f) accept, hold and administer any gift of property or hold as trustees any property for any purpose which the Society consider to be for the benefit of solicitors in Scotland or their dependants or employees or any substantial body of such solicitors or dependants or employees. The use of the adverb "anything" in Section 1(3) above is not restrictive and does not limit the application or reference of the term and to what extent the Law Society can and does protect its members at the expense of the public. In fact, the Law Society has a vested interest in protecting its members. This creates a conflict of interest between Sections 1(2a) and 1(2b) because, if the Law Society is to choose who to protect, either a fully paid up licence member of the Society, or Joe Bloggs, their loyalty will naturally, and almost invariably, come down in favour of one of their members. Furthermore, Schedule 1(10) (e) and (f) could reasonably be viewed as an invitation to prosperous solicitors to proffer gifts, monies or properties to the Society in exchange for quid pro quo favours. This additional bond of fellowship between the Society and its membership does nothing for the confidence of an aggrieved client with a justifiable complaint against a solicitor. The 1980 Act is, therefore, potentially and actually a distinct conflict of interest. The aforementioned Section and Schedule alone leave the 1980 Act wide open to abuse. Self-regulation in any way shape or guise is the pivotal enemy of any true democracy; therefore any civilised society. It is not only undemocratic it is antidemocratic, anti-society and hostile to a public unconversant with all the nuances of our ambiguously cryptic laws. 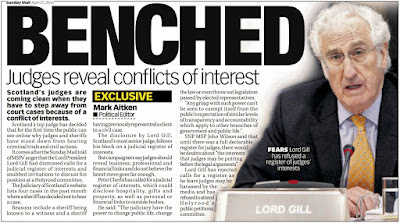 There have been no Bills passed or laws enacted since 1980 that does anything to remedy this stark conflict of interest and there have been no recent announcements made by the Scottish Government that might have a bearing on our petition. My advice ? 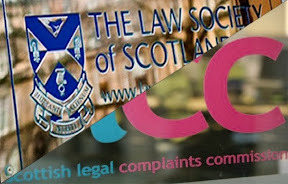 If you have been forced by the actions of your solicitor or your legal representatives to make a complaint to either the Law Society of Scotland or the Scottish Legal Complaints Commission (SLCC), you may wish to consider signing the petition, and ensure the focus of attention in the debate on self regulation of the legal profession shifts to the legislative power the Law Society of Scotland uses against consumers & clients to preserve itself, preserve its members and preserve its political power to prevent legislative reforms aimed at giving the consumer & client a fair deal. The Scottish Legal Complaints Commission were asked for comment on the aims of the petition. A spokesperson said "The SLCC has no comment to make about this petition as this time." 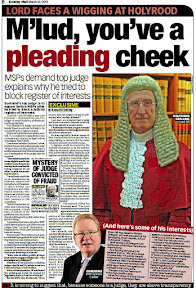 A Holyrood insider commenting on the petition said he “could imagine various Directors of the Law Society again preparing their poison pen letters & ‘on the qt’ briefings for MSPs to save their skins once again” which, from my own personal experience with the Petitions Committee is probably what will happen next … so being forewarned, I would advise readers to sign the petition and spread the word !